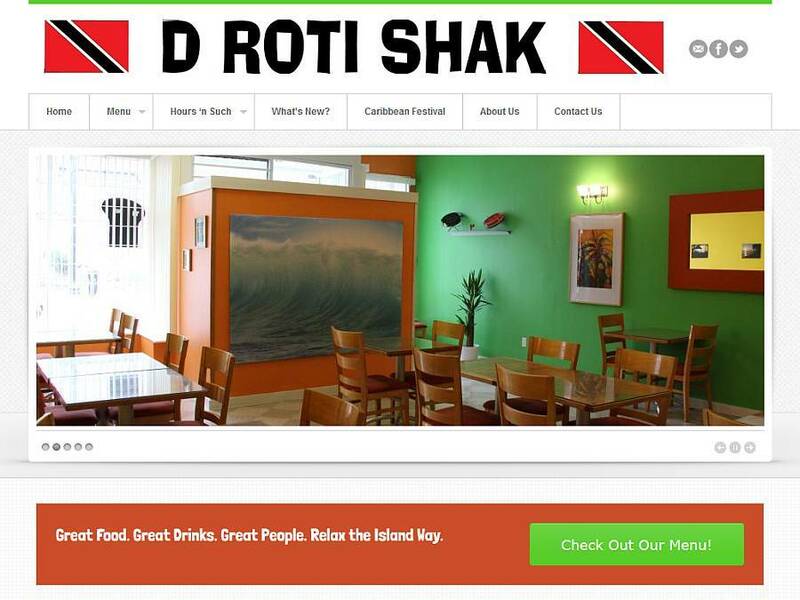 D Roti Shak, a new Caribbean restaurant, needed a bright, easy-to-maintain website that works seamlessly on all mobile devices. The owners will update the site themselves, so ease of use was important. Of course, showcasing the food and “atmosphere” of this friendly eatery were important. Note the friendly menu titles, bright colors, and Call to Action to “Check Out Our Menu!”. If you visit New Westminster, BC, be sure to try the Roti!